The automobile body-building firm of Hollander & Morrill was a continuation of the well-known Amesbury carriage builder Lambert Hollander. Lambert Hollander was the son of Henry Hollander (1821-1886), a German national who emigrated to the United States during the 1850s establishing a residence in the town of Salisbury, Essex County, Massachusetts. Back in Germany, Henry had married Mary A. Geppa and their union produced five children, Gertrude, Bridget, John, James and Lambert Hollander, all of whom accompanied their parents to America. Although his father worked in one of the region’s numerous textile mills, at the end of the Civil War Lambert, who was born in 1852, decided to become a blacksmith and entered into an apprenticeship at a local smithy. Once a journeyman, Lambert decided to specialize in repairing carriages and the 1880 US census lists his occupation as a carriage blacksmith with a wife a young daughter. In 1866 Hollander began producing his own carriages and by 1888 had established a small factory and wareroom in Amesbury where many examples of his signature vehicle, the “Hollander Rockaway” were sold. As Hollander’s original manufactory had been destroyed in the fire, he wasted no time and erected a new one on property purchased from A.N. Parry in July of 1888. The fire had spared the shop of Osgood Morrill, a highly regarded carriage trimmer who established his first works in Salisbury, Massachusetts, a small town located just east of Amesbury, in 1870. He eventually moved to Amesbury’s Elm St. and in 1878 relocated to Front St. in partnership with Dudley E. Gale. 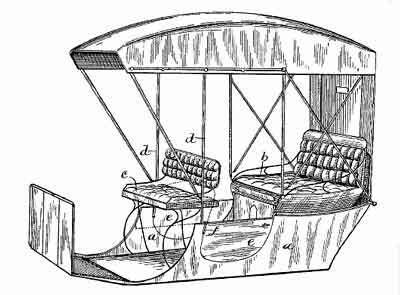 Harlan P. Wells, a celebrated engineer and body designer, became involved with Morrill in 1891 and by the turn of the century had been awarded 18 patents for various carriage bodies and hardware, many in association with Osgood Morrill. Gale withdrew from the firm in 1893 and Morrill and Wells relocated to a block of wooden structures on an alley located between Elm and Oakland Sts. which became known as Morrill St.
Gayden Wells Morrill, the Morrill of Hollander & Morrill, was born in Newburyport, Massachusetts on May 10, 1886, to Frank Forrest and Mary R. Morrill. Frank F. Morrill served as treasurer of the Amesbury Carriage Co. and was also president of the Ocean Nation Bank, a Newburyport bank that provided financing to a number of Amesbury coachbuilders, including the carriage works of Lambert Hollander, the antecedent of Hollander & Morrill. Although not directly related, Osgood Morrill and Frank F. Morrill share a common ancestor, Abraham Morrill (d.1662), one of Salisbury's earliest settlers. According to Amesbury historian Steve Klomps, Osgood Morrill was descended from Abraham's oldest son Isaac as follows: Osgood (Aaron, Aaron, Amos, Daniel, Daniel, Isaac, Abraham). This family lived on the east side of the Powow River, in the west parish of Salisbury, which remained part of Salisbury until being annexed to Amesbury in 1886. This boundary change in 1886 brought most of the Salisbury carriage industry, including the area known as Carriage Hill, into Amesbury. Banker Frank F. Morrill was descended from Abraham's youngest son Moses as follows: Frank (George, Moses, Adams, Moses, William, Moses, Abraham). Abraham's son Moses crossed to the west side of the Powow River and married a girl from Amesbury (the land west of the Powow was set off from Salisbury in 1654 as Salisbury New Town, and incorporated as Amesbury in 1668). Frank's father George Washington Morrill was born in Amesbury in 1818, but left the area as a young man. He made his fortune building railroad cars in Cleveland, Ohio, and then returned to Amesbury after the Civil War. Frank followed his father back to Amesbury, and then moved to nearby Newburyport. Gayden Wells Morrill was educated in the Newburyport public schools, the Hopkinson School in Boston and the University of Virginia. After graduation he entered the employ of the Gray & Davis Co. a manufacturer of carriage and auto lanterns based out of Amesbury. Gayden’s forte was sales and by 1908, he had become manager of Gray & Davis’ Boston sales office. 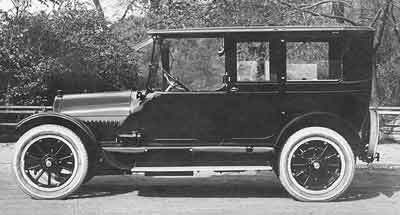 By that time Lambert Hollander had begun the manufacture of automobile and taxicab bodies for a number of Boston’s luxury car dealers and livery services. As Hollander was a director of Davis & Gray and a customer of the Ocean National Bank, he was well aware of Frank F. Morrill’s son Gayden, and thought the young man would be an asset to his automobile body business. Lambert Hollander’s son, George F., who was born in 1883, had been working alongside his father for a number of years and the senior Hollander made the two young men an offer they couldn’t refuse. He offered to set them up in their own automobile body business, with Gayden Morrill in charge of sales and George in charge of the factory. On September 1st, 1909 an Agreement of Association was signed by George H. Hollander, Gayden W. Morrill, Lambert Hollander and Frank F. Morrill creating Hollander & Morrill Inc.
Capital stock was authorized & issued at $20,000 and the firm took over the Carriage Ave. plant of Lambert Hollander. Stockholders included George H. Hollander, 99 shares; Gayden W. Morrill, 99 shares; Lambert Hollander, 1 share; Frank F. Morrill, 1 share. Hollander served as president, purchasing agent and general manager while Gayden W. Morrill served as secretary and treasurer. H.L. 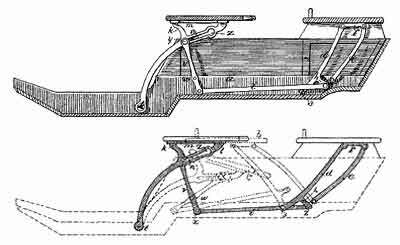 Colley was the firm’s draftsman and chief body engineer. 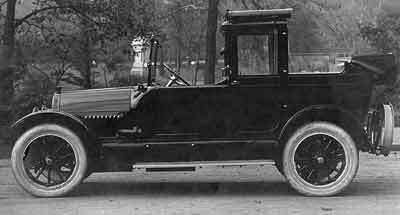 In addition to his fine carriages, Lambert Hollander was also a supplier of taxicab bodies for firms in Boston and New York and both he and J.N. 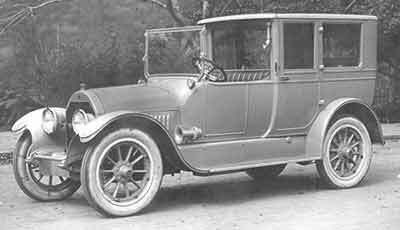 Leitch, another Amesbury coachbuilder, supplied bodies to Harlan P. Whipple’s Taxicab Service Co. which was headquartered in Boston. At the time Taxicab Service was using Sultan, Berliet and ALCO chassis. In accordance with our conversation with you last week in Amesbury, we are putting in writing the prices that we decided to use as a basis to start from. “In regard to touring car bodies. It would be impossible to make a price until we fund out what you wanted as we build touring car bodies all the way from $70.00 to $250.00, in the white, roughly speaking, however for most cars selling in the neighborhood of $2,000.00 to $3,000.00 the body would be, in the white, somewhere around $100.00. If you have an opportunity to figure on anything in this nature if you will send us the name of the car and type we will submit figures immediately thereon. “We are now working on the sample Packard and the sample cab and will push them along as fast as possible. It’s not known who Gray worked for, but he may have been a buyer for one of New York City’s numerous livery firms. Soon afterwards Harlan P. Whipple and his partner, Winthrop E. Scarritt, started buying up taxi outfits in New York and Philadelphia and business picked up for Amesbury’s taxicab builders. By 1910 Whipple & Scarritt’s “Taxicab Trust” controlled over 1,000 taxis in Manhattan alone. Hollander & Morrill’s very first Census of Manufacturers report states that the firm’s 25 hands produced 100 taxi cab bodies and 24 limousine & Landaulet bodies, worth $54,000, between 9/1/1909 to 8/31/1910. Although Hollander and Morrill’s early stationary states “Successor to Lambert Hollander”, Lambert remained an active participant in the firm’s affairs until he was confident they could proceed without him. 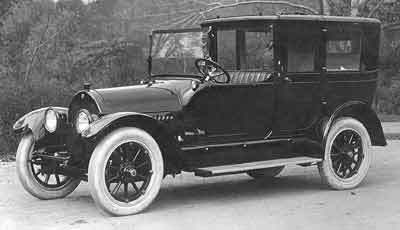 He maintained his previous accounts at least into 1910 and his profit & loss statement for that year lists two taxi related businesses as customers; the American Locomotive Co. (producer of the ALCO automobile and taxi-cab chassis) and the Worcester Taxi Service Co. He also depreciated 52 sets of cab stock ($1500 in wood) 5 trimmed & painted cab bodies ($500), and approximately 10 unpainted cab bodies ($800). From its inception, Holland & Morrill built only aluminum-clad, wood-framed composite automobile bodies. Small body manufacturers utilized aluminum because they could not afford the heavy press equipment required for steel shapes, and aluminum could be easily shaped by hand using an English wheel or Pettingell Automatic Hammer, which interestingly was made and developed in Amesbury. During 1910 Hollander and Morrill produced a number of bodies for Mr. Ernest Version, who was most likely a representative of a large taxicab operator, possibly the Worcester Taxi-Cab Service Co. A receipt dated September 6th, 1910 lists 5 limousine bodies @ $70 each, total $350; 12 special cabs with tailgates @ $40 each, total $760; 12 regular cabs @ $38 each, total $456; and 3 buss bodies @$75 each, total $225. The labor was listed separately, $25 per work week, with 4½ weeks to date, totaling $112.50. Apparently Mr. Version was not a wealthy man as he paid his bill in weekly installments of $55-$90 over a 5-month period. The firm also accepted stock certificates in lieu of payment. During 1912 they received a number of certificates from the Yellow Taxicab Co. of New York with a face value of $100 per share. By 1912 Lambert Hollander was convinced that his successors could survive and he sold the factory buildings and property to his son George, who retained sole ownership. He remained a partner in Gray & Davis until 1917 when he sold his share to S. Preston Moses and retired to Florida. When Hollander & Morrill relocated to larger facilities in 1916, the proceeds from the sale of their old factory went to George Hollander directly, and not to Hollander & Morrill. Included in the Hollander & Morrill archives was a statement from the Taxi-Service Company of Boston which listed its 1911-1913 payment to creditors. $5,000 of the Taxi-Service payments to Hollander & Morrill were actually owed to Lambert Hollander, for work done prior to September 1st, 1909. It’s not exactly clear how much of the $20,500 was paid out in cash as an outstanding balance of $7,000 was noted. During the same time period the Taxi-Service Company paid out $82,000 to the American Locomotive Co. (ALCO) and $15,000 to Goodyear Co. The huge tire bill gives evidence to the poor condition of Boston’s streets and the equally poor performance of the tires of the period. Holland & Morrill specialty was closed bodies and their bodies were much in demand with high quality chassis retailers in Boston and New York. 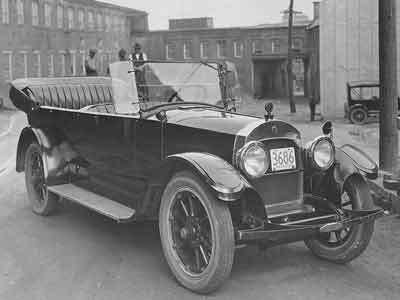 By 1913 they had started building bodies for Inglis M. Uppercu’s Detroit Cadillac Motor Car Co., a firm that would soon become their best customer. Detroit Cadillac, the Manhattan Cadillac distributor, had a custom body department that was headed by J.R. McLauchlen, and prior to Cadillac’s association with Fleetwood, many of Uppercu’s town cars, landaulets and limousines were designed by McLauchlen and built by either Hollander & Morrill or Healey & Co. in New Jersey. Richard and Anita McLauchlen recently wrote me to confirm that prior to working at the Manhattan Cadillac branch, James R. McLauchlen headed the custom body department of Boston’s Detroit Cadillac branch (James R. being Richard’s great uncle). He learned his trade from his father, John Robert McLauchlen in Bristol, MA who had his own carriage building and wheelwright business from at least 1880 to 1910. Sometime after 1905 James R. McLauchlen moved from Boston to New York City to assume the same duties at the Manhattan branch. In December of 1915 Hollander & Morrill started moving out of the former Lambert Hollander factory on Carriage Hill to much larger facilities leased from the Merrimac Valley Power & Buildings Co. The new factory was located in Amesbury’s upper millyard and was built by the Hamilton Woolen Co. The photo of Hollander & Morrill’s factory that appears on this page was taken in the upper millyard outside the building (to the left & not in view) where Hollander & Morrill operated from 1916 to 1925. Sales leveled off during 1918 but had increased to the point where the board of directors voted on May 13, 1919 to increase the capital stock of the company by $30,000 so that the entire capital stock shall be $50,000 represented by 500 shares. Hollander & Morrill’s income rose to a record $495,214 during 1919 and at the firm’s June 4, 1920 stockholder’s meeting, the board of directors voted to increase the company’s capital stock by $100,000 to a total of $150,000; of which $100,000 was issued and outstanding. 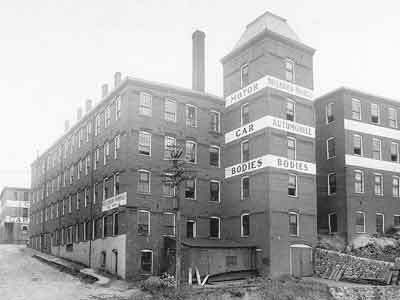 The firm continued to prosper and during 1920 one-hundred-seven workmen produced a record 245 closed bodies at Hollander & Morrill’s High St. factory. Although New York City’s Detroit Cadillac remained their largest customer, they continued supplying custom bodies to other regional dealers. The “Panic of 1921” created a notable decrease in sales and the firm was forced to reduce their workforce by 40%. Sales were reduced to $208,201, and only 104 automobile bodies exited the Hollander & Morrill factory during the year. Just as today, the US Department of Internal Revenue closely monitored the deductions of small businessmen and Hollander & Morrill’s 1917 return was returned to them - 4 years later - with additional tax due. “Commissioner of Internal Revenue Washington, D.C.
“The amount of $40,137.96 deducted as salaries to officers, is claimed to be a fair allowance for the services actually rendered by Messrs. Gayden W. Morrill and George H. Hollander of Hollander & Morrill, Inc.
“The corporation is engaged in the manufacture of the highest grade of closed automobile bodies. The business as it stands today is the result of the continued efforts of years of endeavor on the part of Messrs. Hollander and Morrill to produce a product which in quality and workmanship would be second to none, and this desired result has been obtained to the satisfaction of the owners, to the extant that they now supply closed bodies for some of the most expensive automobiles constructed. “Gayden W. Morrill is now, and always has been the Treasurer, Secretary and Clerk of the Corporation, attending to all the financial and other duties which attach to these offices. In addition thereto Mr. Morrill does all the work for this corporation that is ordinarily accomplished by salesmen and solicitors in concerns of a like nature. This company employs no other salesmen. All the contracts and orders, which flow to this concern are obtained through the services and ability of Mr. Morrill exclusively. Mr. Morrill has secured for this company the contract of supplying to the Cadillac Motor Car Company for the New York territory, all the closed bodies sold by them to their exclusive and particular clientele. This contract is of a most valuable nature and one that is the subject of much competition, the retention of which is due almost wholly to the efforts of Mr. Gayden W. Merrill. “It requires the services of the most valuable type of salesman, equipped with the necessary technical knowledge peculiar to this business, to obtain and close favorable contracts in a field that presents the keen competition existing in this line of trade. “Mr. George H. Hollander is now, and always has been, the President of the Company. In addition to fulfilling the duties attending this office, Mr. Hollander acts in the capacity of Factory Superintendent. In this capacity he has complete charge and oversight of the entire production of the factory. To his ability in planning, his knowledge of construction and to his dis­cretion and direction in the manufacture of the product, can be attributed that part of the success of the company that is based on its reputation as builders of the best closed automobile bodies constructed. “Mr. Hollander and Mr. Morrill act jointly in the capacity of Purchasing Agents. In a concern of this kind, and especially during the period for which this tax return is prepared, much depended upon the ability of those responsible for the buying of raw materials as to the success or failure from operations. To obtain best results, a thorough knowledge of market conditions affecting all the materials used in the business was absolutely necessary. The ability to buy such things as aluminum, iron, special woods, 1eather, hardware, up­holstering material, paints and varnishes, and other items, in sufficient quantity and at favorable prices, or in other words to act in the capacity of a capable purchasing agent, was present in and was exercised by Messrs. Hollander and Morrill jointly. “The business and the product are of a particular nature, catering to a demanding, and exacting clientele as hereinbefore set forth. At various times, for the purpose of relieving themselves of the pressing duties attendant upon their many positions, Messrs. Hollander and Morril1 attempted to obtain a suitable Factory Manager and a competent Purchasing Agent. The few men whom it was thought might, fill the positions satisfactorily could not be obtained, as they had to be drawn from competitors who preferred to retain such men in their own employ under any reasonable circumstances. “It is known to the officers of this corporation, who are con­versant with conditions existing in competitor concerns, that a Purchasing Agent capable of assuming the required duties and satis­factorily filling the position is paid a salary of $12,000.00 per rear; that a suitable factory manager is likewise paid a salary of $7,500.00 per year; and that the value in terms of salary per year of a salesman, capable of obtaining the satisfactory results and in general measuring up to the high standard of Mr. Morril1 as such, would have to be estimated at a very high value. “In short, the entire success of the business is depended on the combined efficient efforts of these two men in their capacities as President, Treasurer, Secretary, Clerk, Salesmen, Factory Manager and Purchasing Agents. “The facts herein set forth for the information of the department are argued in substantiation of the contention by the officers of this corporation that the amount claimed as a deduction under Item 13 of Schedule A on the return, constitutes a fair and reasonable allowance for services actually rendered as officers of the corporation. These amounts, are in keeping with salaries paid for the same services by the concerns in a like or similar trade or business. All the facts hereinbefore set forth must be taken into consideration, in order that all the advantages afforded by the law and regulations will be accorded the taxpayer in this case. “It is contended that, for the services of Messrs. Hollander and Morrill as President, Treasurer, Secretary and Clerk of the corporation there should be allowed as a deduction, a salary of $10,000 each, representing a fair allowance for services actually rendered as officers of the corporation. These amounts are in keeping with salaries paid for the same services by concerns in a like or similar trade or business. To this amount there should be added a salary at least $10,000 each, as a fair measure of the value of the services actually rendered by them in the capacity of Salesman, Purchasing Agent and Factory Manager, as previously referred to, making a total deduction of at least $40,000.00 as salaries to officers to officers in determining the taxable net income of this corporation. It is further contended that in this case, a deduction of any lesser amount would not represent a reasonable allowance for salaries or other compensation for personal services actually rendered by the officers of this corporation in their capacity as such, and for their other duties herein set forth when compared with the salaries paid for like services in like enterprises and under like circumstances. “It is, therefore, respectfully requested that the Department reconsider the letter of May 2, 1921 in reference to the item of Officers' Salaries, and that for the reasons above stated there should be allowed as a deduction from Gross Income on account of this item the amount of $40,137.98 as stated in the original return. By 1922 the firm’s sales had rebounded and during the year they produced 157 automobile bodies valued at $289,219. 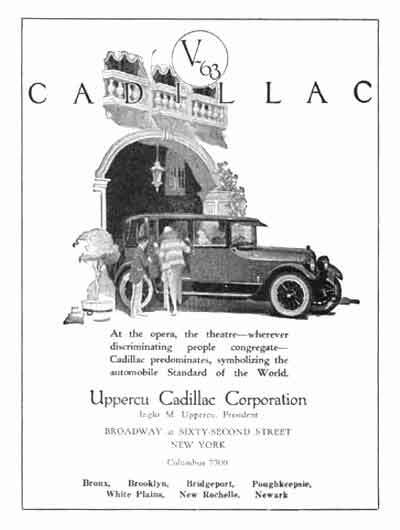 However the 1923 reorganization of the Detroit Cadillac Motor Car Company as the Uppercu Cadillac Corp. gave them reason for concern. As the original firm still owed Hollander & Morrill a substantial sum of money, the board of directors voted to withhold the annual dividend to their shareholders, although they approved salaries of $12,000 for Messrs. Hollander and Morrill. As it turned out, Uppercu Cadillac made good on their predecessor's debts, however the demand for custom bodies grew weaker during the year and Hollander & Morrill only produced 114 automobile bodies valued at $214,742. Sales continued to slide during the following year and Hollander and Morrill were forced to lay off half of their remaining staff. George H. Hollander even sold off the firm’s old Carriage Ave. factory which they had used between 1909-1916. It was sold to the Walker Body Co., who incorporated it into their massive plant No. 4 which is still standing today. By the middle of 1924, Hollander & Morrill’s business outlook was grim and midway through the year they considered a merger with the Holbrook Co. of Hudson, New York and the Healey & Co. of New York. The architect of the consolidation was most likely Inglis M. Uppercu, the owner of the Uppercu Cadillac Corp. (formerly the Detroit Cadillac Motor Car Co.). Although his name is not mentioned in the consolidation proposal, he had recently purchased a controlling interest in Healey & Co. from Colonel Healey. At that time Uppercu was also Hollander & Morrill’s primary customer, and he had recently relocated his Aeromarine operations to Keyport, New Jersey, the hometown of Keyport Securities Corp., the financier of the merger. By consolidating his three body suppliers into a single entity, it would be much easier to keep his costs down. A merger could also prove beneficial to Hollander & Morrill as they had little to lose and much to gain if the deal went through. The resulting firm would be in a better position to effectively compete against their larger Detroit-based competition, and would hopefully allow them to stay in business for a few more years. Mr. Graham of Holbrook & Co. was to become president, and Mr. Douglas of Healy & Co. and Mr. Hollander of Hollander & Morrill would both serve as vice president, with secretary and treasurer to be decided by agreement between the three chief executives. In addition to the three aforementioned officers, Mr. Morrill from Hollander & Morrill, Mr. Levett (and possibly Mr. Harris) from Holbrook; Mr. Fouquet from Healy; Mr. Steinhardt, their attorney; and Mr. Wright, a representative of the Keyport Securities Corp., would make up the 9-person board of directors. 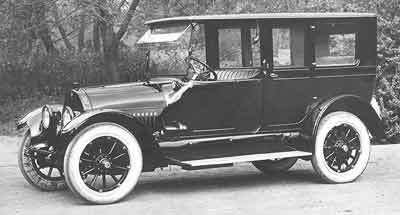 As late as September 25th, 1924 the plan was still under consideration, but it’s likely that the directors of the Holbrook Company, whose existing contracts with Lincoln and Packard put them in a far better financial position than the other two firms, decided against the plan. Regardless of what caused the merger to fail or who was behind it, 12 months later, only Holbrook would still be in business. 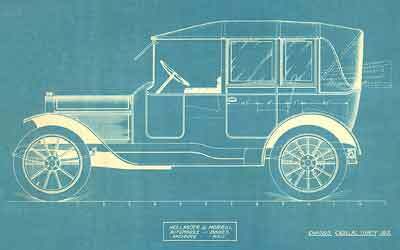 Healey & Company, whose most talented staff had been hired away in 1921 by Pasadena, California coachbuilder Walter M. Murphy, was absorbed by Uppercu. He reorganized it as the Healey-Aeromarine Bus Co., closed down their Manhattan body plant and relocated its bus building operations his Keyport, New Jersey factory. Hollander & Morrill met a similar fate. 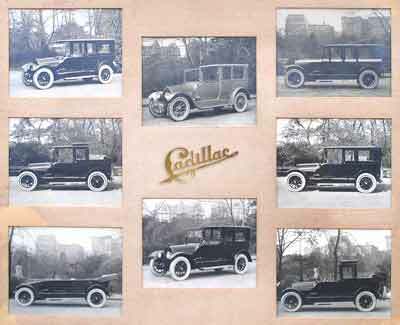 By mid 1924 it had become apparent to the Cadillac Motor Car Co. that the continued success of the firm depended on the availability of low cost, yet high quality custom coachwork. The problems experienced by Leland’s Lincoln and their subsequent resolution following Edsel Ford’s implementation of a successful custom coachwork program did not go unnoticed by the Fisher Brothers, Cadillac’s principal body supplier. At the urging of Lawrence P. Fisher, Fisher Body Corp. made an offer for the outright purchase of the Fleetwood Body Co., one of Hollander & Morrill and Holbrook’s chief competitors. The $650,000 deal was accepted by Fleetwood’s board of directors and the deal was consummated on July 18, 1925. Both George H. Hollander and Gayden W. Morrill were well aware that the pending sale would have a devastating effect on their already tenuous relationship with Uppercu Cadillac, so when Biddle & Smart made an offer to purchase their factory in mid 1925, they accepted. On June 18, 1925, just one month to the day before Fisher purchased Fleetwood, Biddle & Smart Co. announced their intent to purchase the Hollander & Morrill factory. The $120,000 purchase price was accepted and the deal was finalized at Hollander & Morrill’s final board meeting which took place on August 17th, 1925. 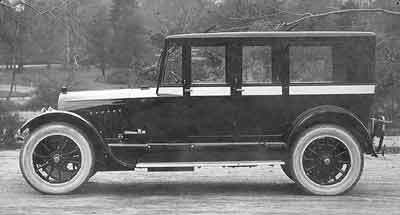 Uppercu’s custom body department was disbanded during the following year and J.R. MacLachlan took a job with Chrysler, and was put in charge of designing their Model 80 which debuted in 1927. MacLachlan had become friends with Gayden W. Morrill while working for Uppercu and the pair continued a correspondence into the 1930s. A 1928 letter from MacLachlan to Morrill describes his being "let out" of Uppercu after 15 years "owing to there being no more custom bodies." Gayden W. Morrill went on to become mayor of his hometown of Newburyport, Mass., serving for two terms, 1932-1933 and 1934-1935. In 1920 and 1924 he had been an alternate delegate to the Republican National Convention and when Massachusetts congressman A. Piatt Andrew Jr. passed away in office during 1936, Morrill ran for office but was defeated by his opponent, George Bates, in the Republican primary. Gayden W. Morrill passed away on November 2, 1948. The 1927-28 Amesbury directory lists no business affiliation for George H. Hollander, but by 1931 he was working for A.N. Parry & Co., Auto Goods, located at 14 Oakland St., Amesbury. Parry was another former Amesbury carriage builder who had earlier shared a factory with George’s father, Lambert Hollander both before and after the 1888 fire. George H. Hollander passed away on June 29, 1941. The following data provides a yearly snapshot of Hollander & Morrill’s business activities, and was compiled by Amesbury historian Steve Klomps using the firm’s annual “Census of Manufacturers” reports which were supplied to him by the estate of Frank F. Morrill. On Aug. 15, 1912 the board voted to change the fiscal year to Feb. 1st from Sept. 1st; as during September the firm was too busy to conduct an accurate inventory. On August 17, 1925 the Board voted to accept the offer of Biddle & Smart Company effective as of June 30, 1925, and voted to dissolve the Corporation and surrender its charter as of the close of business August 17, 1925.